This extra large (10.5 ounces!) 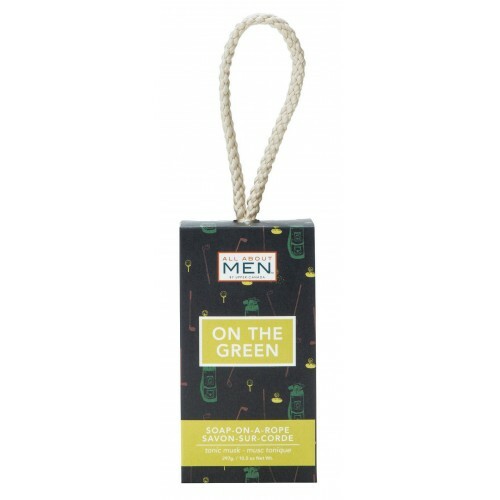 soap on a rope is perfect for guys who live for a day on the golf course! The quality, long lasting rope soap features a delicious tonic musk fragrance. 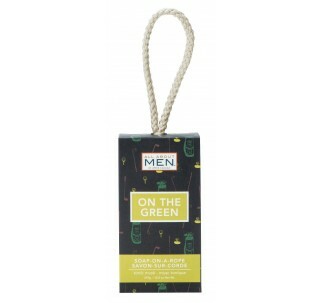 All About Men Soap-On-A-Rope cleanses, refreshes and hydrates your skin. Each soap is individually boxed and ready for gift giving to that deserving man in your life!